Opaque, originally uploaded by Aaron78. But a warm moment, waiting to cross. It's been a while since I've taken a picture I have been really pleased with, so this one made me happy. 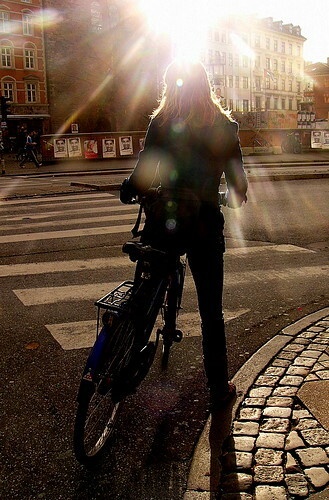 I love the way the sun caresses the cobblestones, as well as giving the faintest hint of her profile. Delicate, fleeting, and sedate. She went straight over, and I carried on through the square and round the corner to my home. vi profilere os mest i udlandet. ses og tak for dit kommentar! i love this picture!!! it is so pretty! Beautiful! This is one of my favorites! I like your blog, there are some cool pictures. Aly and mrfreak, thanks so much! All the first chap was saying was that it was strange that he - Dane - discovered our Danish site by surfing on men.style.com's website in the US.